It was a chilly day in November that I realized I was not going to hit my sales goals for 2018. 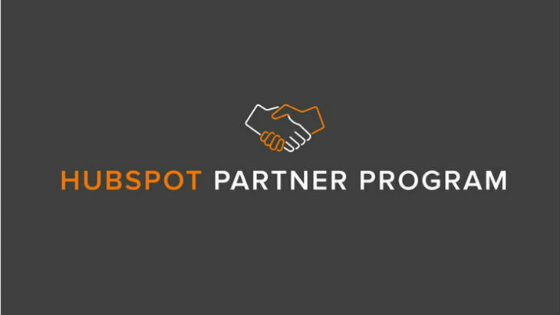 As a sales team, we were set to have our biweekly check-in with our HubSpot Channel Account Manager (CAM). I was dreading this meeting because once again, I had very little to talk about. My pipeline was feeling pretty light, though I knew as a company, we had even bigger goals for 2019. Then, there came a knock on the door of opportunity. Mike, our CAM, began talking about a HubSpot Pipeline Generation Bootcamp and how it will improve our sales skills and help generate new opportunities. PERFECT! Just what I needed! Unfortunately, there was a catch: I had to apply and was not guaranteed a spot. So, I went through the application process and patiently waited to hear if I was accepted. On December 19th, I got the news. A congratulations email from Dan Tyre. “I’m IN,” I thought to myself. And I knew - since the very first core value of CWS is to pursue growth and learning - my sales manager and leadership team would be in as well. Over the past eight weeks, it was a big investment of time. I spent over 40 hours in HubSpot's Pipeline Generation Bootcamp. This Bootcamp allowed me to develop my skills as an Account Strategist to help our clients #GrowBetter. There are times in every job when there are things you enjoy doing, and things that you would prefer to forget about. In sales (the department that usually has no problem interacting with strangers), this often happens when it comes to picking up the phone to call. When you have to tackle the tasks you would rather forget about, it is important to remember your personal motivation. One of the first homework pieces for Pipeline Generation Bootcamp was to create a personal motivation and vision board. Every time I was struggling to make the calls, this reminded me why it was important. In order to succeed in any business, it is crucial to understand where your brand ranks in the minds of consumers. Are you the premium product? Are you a luxury product? Are you cheap and disposable? When talking about growth agencies, it is important to understand where you rank in the minds of your prospects and clients. Since time is such a limited resource, you can help everyone, but not everyone can be your client. It is simply inefficient for your organization and not a best business practice. If we turn back the clock 20 or 30 years, there was a time when the phrase “always be closing” could be heard in all sales departments. Dan Tyre, HubSpot’s No. 6 employee and instructor of the Pipeline Generation Bootcamp, teaches that sales in not about closing, it’s about seeing how you can help your prospects and clients solve their problems. Sometimes, this will mean a paid engagement. Other times, it might mean waiting a few years before you see any financial return. Many organizations rely on the sales team for reaching their revenue and growth goals. While the sales team is ultimately responsible for collecting the signature on the dotted line, it takes the entire team to find the opportunities. As an agency, we have project managers, a production team of developers, content specialists, programmers, and more who are interacting with clients on a monthly, weekly, or sometimes daily basis. These people can help find opportunities for the sales team to reach out and offer best practices. A majority of Pipeline Generation Bootcamp was dedicated to understanding, practicing, learning, and growing through the connect call process. Not only do salespeople have a bad rep, but the ones that get you on the phone and immediately dive into their sales pitch make it so much worse. We spent a few weeks learning how to connect with the person on the other end of the phone as a human who also has limited time and goals to accomplish. The research shows that those who make these phone calls have much better success and closing rates. So, I worked up the courage to call my prospects instead of bombarding them with email. Whew! They did not answer. Wrong! This is where I focused on learning how to leave a proper voicemail that will get opened, listened to, and that will drive interest and response. Next, I learned how to use video email to impress my prospects and make the sales process more human. Who doesn’t love to actually see someone’s face when talking to you about connecting? If you are interested in learning about video email, check out Vidyard for Sales. The best practice for connecting with a prospect on a connect call is a four-attempt process. I learned that having more and more conversations would make it easy to forget about prospects I was once very excited about. That is why it was important to use marketing automation tools (I use HubSpot’s sequence tool) to make sure my follow-up tasks and emails were created automatically. I have to give a heartfelt thank you to the man himself, Dan Tyre. He is an absolute sales genius that truly cares about helping prospects grow their business, helping agencies grow their client base, and helping salespeople grow their skills. Thank you, Dan! This is based on the events of a true story. Interested in learning more about the HubSpot Pipeline Generation Bootcamp? Want to learn about the services CWS offers to grow businesses? Schedule a time to chat on Patrick's calendar! Patrick landed at CWS to pursue a passion for helping clients see positive results and help grow their businesses through digital marketing. When he's not working, Patrick enjoys spending time with his high-school-sweetheart-turned-wife Morgan, and their daughter Avery.